My internet connection was temporarily interrrupted there. Yesterday I made a stack of white milk bread for toast mainly. I used the scary very strong flour without mixing it with anything else. It says it has 15 g protein per 100 grams. 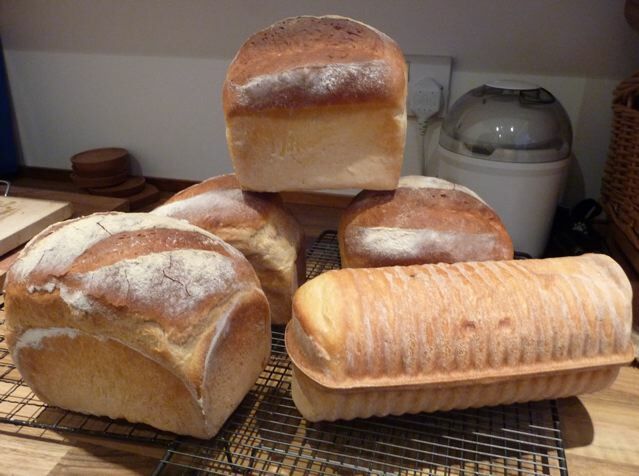 These loaves are 425 grams in the smaller ones and 600 grams in the bigger two and a lot of air! The round one is made in a milk loaf tin from Lakeland. 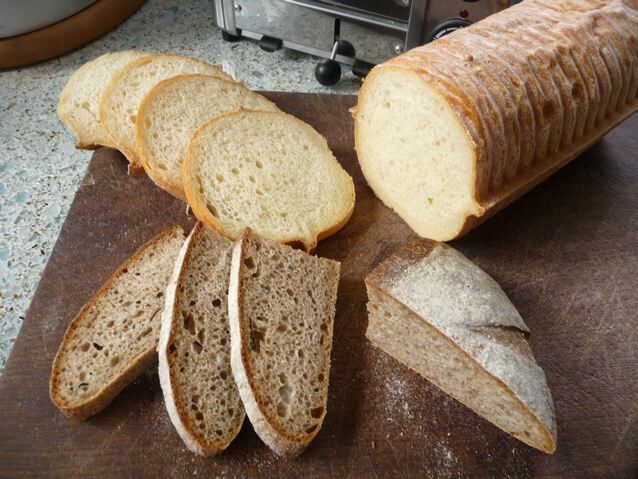 This entry was posted in Bread and tagged Bread, lakeland bakeware, miche, milk bread, milk loaf tin, toast on 09/05/2010 by Joanna. Oh I love that beautiful round white loaf! What’s it called, Jo? I don’t think it has a name Celia, the tin is called a milk loaf tin… sorry VM’s broadband service went down half way through writing this one! Nice toasts! I am curious about what’s the white appliance behind the group of breads in the last photo… :-) Ice cream maker, maybe? 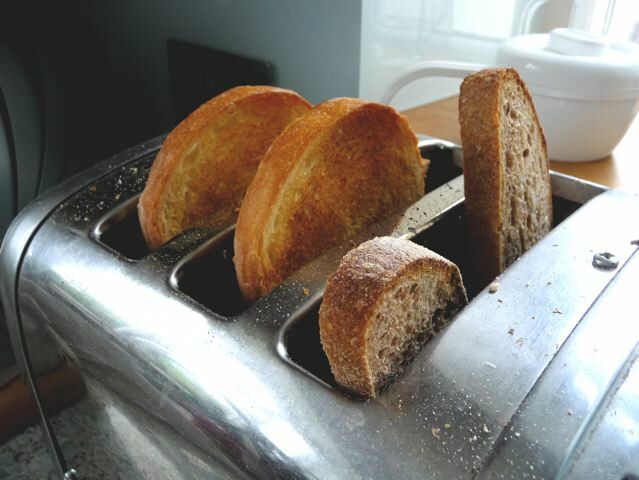 I loved the photo of the toaster…. Somewhere under the stairs is an inherited icecream maker… I think it last came out to make Celia’s rum and raisin icecream!